This editorial appeared in the Jan-Feb 2015 edition of Tibetan Review. The last half a decade or so has not been the best of times for speaking about prospects for the resolution of the issue of Tibet. The state of Sino-Tibetan relations today is such that the Tibetan side keeps seeking talks, having made all concessions there is to be made, but to no avail. China, bursting as it is with historic and prolonged rise in prosperity, power and global influence, is not only utterly disinterested but also fully immersed in a systematic depreciation of the very foundation on which any reason for seeking a negotiated solution would remain. There is hence no occasion to speak about progress or regression in moves towards holding talk between the two sides. It is not without reason, therefore, that the exile Tibetan administration at Dharamshala no longer talks about prospects for holding talks with the Chinese in any optimistic term, especially given the acrimony with which the last one ended in Jan 2010, leading to the resignation of the envoys of the Dalai Lama. Rather, it is doing the best it can to enable the exile Tibetans to have something ennobling to occupy themselves with, carrying out a campaign of educating them about the merits and reasonableness of its middle way policy for resolving the issue of Tibet. However, the “middle way policy” is not exactly “middle” as originally conceived in the Dalai Lama’s “middle way proposal” which had an ethnographically defined Tibet administered by a fully democratic, human rights imbued local Tibetan administration, with Chinese powers being limited to sovereignty issues. Nor would even this seem to matter very much in the given state of no-talks relations between the two sides. But it definitely appears certain that even if all Tibetans become fluent in reciting the middle way mantra and the official commentaries on it like their daily prayers, thanks to the ongoing education campaign, the Tibet issue will not get any nearer to being resolved. The reason for this is obvious. To the Tibetan side, of course, any kind of talk that would end in a deal that protects Tibet’s cultural identity would be a gain, having lost everything there is to be lost after the 1959 nemesis. This is the logic underlying the Dalai Lama’s Five-Point Peace Plan of Sep 21, 1987, his Strasbourg proposal of Jun 15, 1988, and the Memorandum on Genuine autonomy for Tibet presented to the Chinese side on Oct 31, 2008 during the eighth round of talks with “the Central Government of the People’s Republic of China”. That the Memorandum does not exactly guarantee a genuine kind of autonomy only speaks of the gross imbalance in the bargaining positions between the two sides. On the other hand, to the Chinese side, any kind of concession by agreeing to negotiate is not just a climb down but a reversal of direction from the current trajectory of what it sees as a great success towards rendering the issue of Tibet a non-issue. It believes that its current policy of leapfrog development which postulates a demographic reengineering of the Tibetan Plateau with the sheer scale of Chinese immigration brooks no heed to what the Tibetan side considers a mutually beneficial solution to the issue of Tibet. Besides, China is a one-party autocracy whose overriding concern is to maintain and strengthen that autocracy and the sense of nationalism based on it. To resolve the issue of Tibet by embracing democratic pluralism and governmental legitimacy derived from popular mandate rather than by the intimidating power of armed repression is the very antithesis of this approach. To China, therefore, dealing with the issue of Tibet is a zero sum game: any concession to the Tibetan side can only be at the expense of its sense of national sovereignty and, more ominously, by way of diluting the absoluteness of the authority of the Communist Party of China. The Tibetan side’s attempts to convince China that that this need not be the case through its Memorandum on Genuine Autonomy and by diluting the fine prints of its middle way offer has been a failure. During the large-scale protests that took place in Tibet over the period of 1987-89 and in 2008, China made the point that its fight against the Tibetan people was a life and death struggle. In plain terms this simply meant that China will concede nothing, that, even if pitted against the rest of the world, it will fight to the death rather than striking a compromise on the status quo. With no obvious course-changing factors coming into play to improve the ground reality in relations between the two sides, the only issue that bears looking at appears to be how much the two sides are succeeding in their respective agenda. 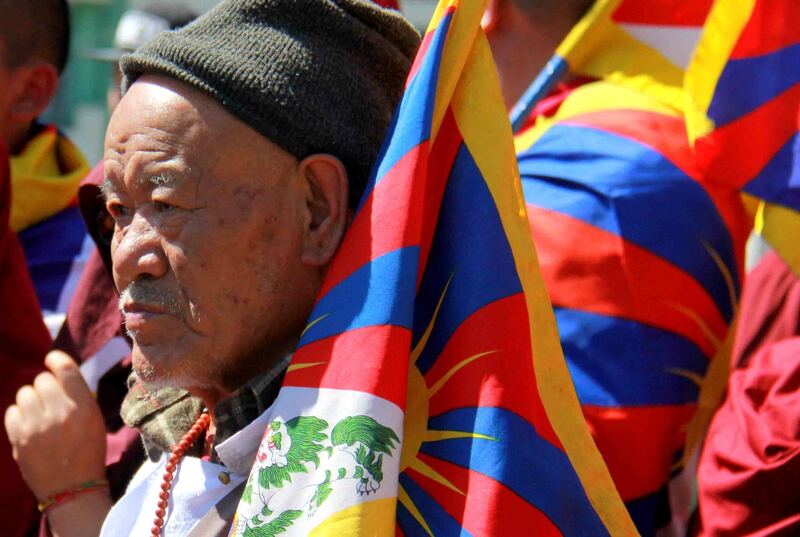 To the Tibetans, the main concern is to keep the issue alive, to try to co-opt the international community in its fight to restrain China from going full throttle in decimating the Tibetan identity in the shortest possible period of time. China, of course, uses its growing hegemonic power over the rest of the world to try to avoid criticisms for its Tibet policy and to restrain, if not altogether prevent, any sort of support for the Tibetan campaign. But its success here has been a limited one. For example, its moves to prevent government leaders from meeting with the Dalai Lama, while successfully in most cases, only resulted in earning it such bad publicity that keeping quiet about it might seem to be a wiser thing to do. But then, allowing such meetings would be just as damaging. Its global Times newspaper, launched some years ago as a move aimed at winning the public relations battle in the West, admitted in a commentary in its Dec 28 edition that its meticulously planned, financially costly attempts over many years to win Western “understanding” and support for its Tibet policy has been a failure. All this is, however, only a public relations battle fought at the periphery. The real battle goes on inside Tibet where 11 more self-immolations by protesting Tibetans in 2014 took the reported total since Feb 2009 to 136. They each represented culminations of all that was wrong about China’s policies in Tibet and symbolized the most powerful negation of Beijing’s lies about its intentions in the occupied land. They also present the most effective restraint on China from pursuing an unimpeded, all-out obliteration of the Tibetan identity. In this connection, the question concerning the self-immolations in Tibet is not whether or not Tibetans should opt for this admittedly gruesome form of protest since none of those who appeal against it can fathom the depth of turmoil that had tormented the minds of those who carried them out; rather, it should be seen as a barometer of how bad the situation in Tibet is and what gravity of crimes the Chinese leaders have to answer for, should the moment of truth come at some time in the future. Tibet issue hit by global economic crisis? A cultural approach to resolving the Tibet issue?